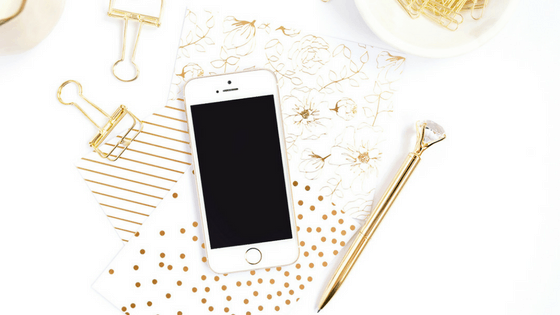 You've probably heard about Pinterest schedulers, right? The main two are BoardBooster and Tailwind. I use both but in different ways. 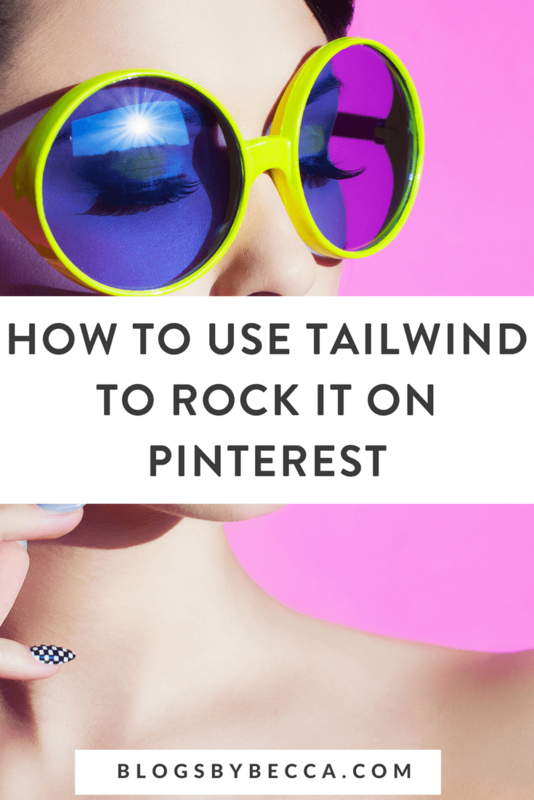 This is how to use Tailwind to grow that Pinterest account! *This post contains affiliate links, which means that if you click a link and make a purchase, I may receive a small commission. There is no extra cost to you. Tailwind allows you to create a custom schedule, based on the best times that it calculates for you to pin. Just tell it how many times per day you want, and it will create a custom schedule for you. You can always add or delete any of the time slots, or add a particular time that you want. 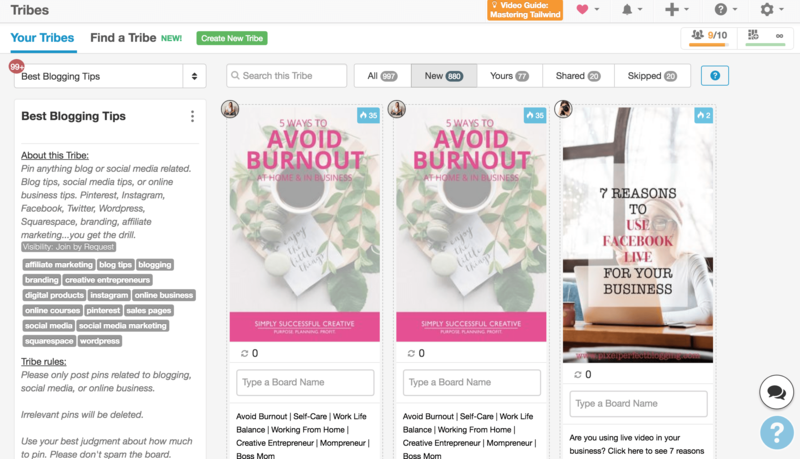 Tailwind makes it easy to create a schedule like this, and it's a big plus in my book. Once these pins are scheduled, Tailwind will pin them for you at the set times throughout the day. No extra work for you. 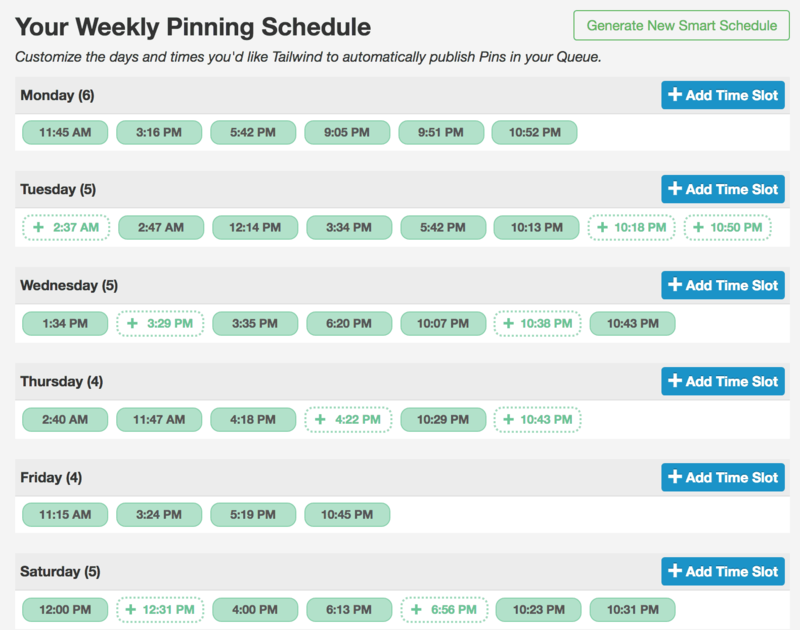 Scheduling pins is pretty easy with Tailwind. You can pin within the Tailwind application, or right on Pinterest (you just have to install a Google Chrome plugin). Once you pin one thing, Tailwind will suggest other pins for you. Some of these pins end up being way off-topic, but some are useful. It's pretty easy to get your schedule filled up. Tailwind's newest feature, which is still in beta is SmartLoop. It allows to you to recycle your old pins on a loop so that you're always posting. I wrote about it right here. Tailwind Tribes are kind of the new age group boards. In a tribe, you share your own pins, and other tribe members share their pins to the tribe too. You can then go through the tribe and schedule all the pins that you want (they'll get scheduled the same way as any other pins). If the tribe is active, this can be a great way to get your pins seen and shared. You can also start your own tribe if you feel so inclined. Just start it up, set some rules, add some keywords, and you're ready to go. Tailwind recently opened up tribes to everyone (they used to be in a beta test mode), so as long as you're using good keywords, you'll likely get people asking to join. Tailwind also gives you a lot of Pinterest analytics to work with. You can see how many repins you're getting and which boards are getting the most traction. You can also look at each individual pin and see what its numbers are like. So, my friends, that's what I'm using Tailwind for these days. Are you using Tailwind? Something else? Let me know in the comments!